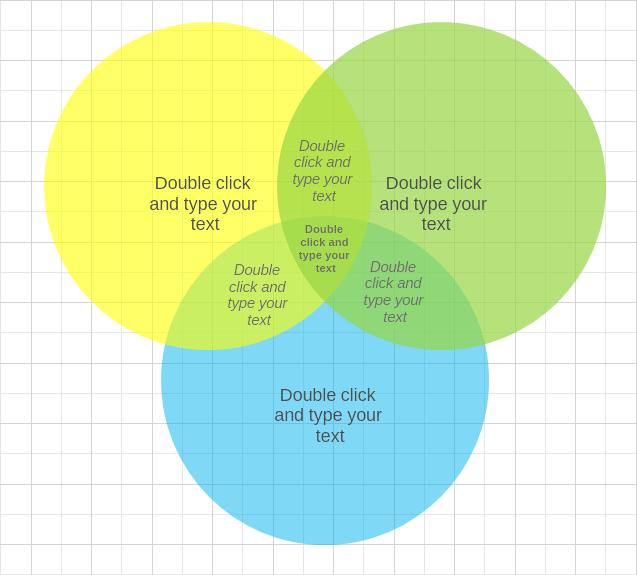 This is a template of the most basic version of 3 circles venn diagram in 3 colors - yellow, green, and blue. You can adjust the template by loading it in Nevron Draw. You can change the color and transparency level of each shape, as well as edit the text simply by double-clicking on it.